Aston Martin have confirmed that St Athan, their second major UK manufacturing facility, will become the brand’s centre for electrification and the production home of the Lagonda brand, the world’s first zero-emission luxury marque. The new plant will bring up to 750 high skilled jobs to South Wales over the coming years, with more than 150, 50 of which are apprenticeships, already recruited. 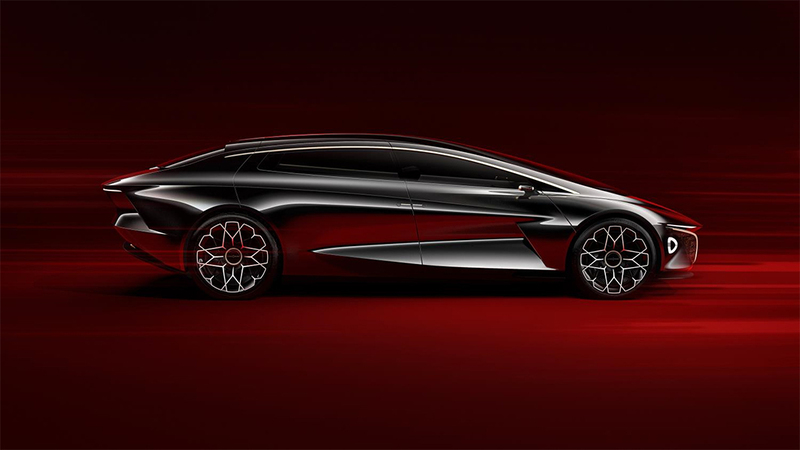 As the world’s first luxury marque exclusively driven by zero emission powertrain technologies, Lagonda heralds the beginning of a new range of luxury vehicles that will commence production in 2021. We caught up with Dr Andy Palmer, Aston Martin’s President and Group Chief Executive Officer at this year’s Goodwood Revival where, over a cup of tea, he told us: “Aston Martin sees itself as a future leader in the development of zero emission technologies, and I am delighted that St Athan will be our ‘Home of Electrification’ for both the Aston Martin and Lagonda brands. Dr Palmer also told us: “Plans are afoot to build another of our Continuation Models” (The company has recently built 25 DB4 GTs and 25 DB5s as per James Bond’s Goldfinger car, complete with rotating number plates and machine guns). He wouldn’t tell what exactly what model they’d be building of course, that’s a closely guarded secret, but he did let slip that it would celebrate a forthcoming Aston Martin anniversary. Jake Horton (pic left) was one of six MA students who opted to take the automotive module at Cardiff University’s School of Journalism. All six were eligible to compete for Welsh Motoring Writers’ John Arfon Edwards Memorial Prize in 2018. He produced a well-researched digital article with a series of insightful video interviews embedded in the story. 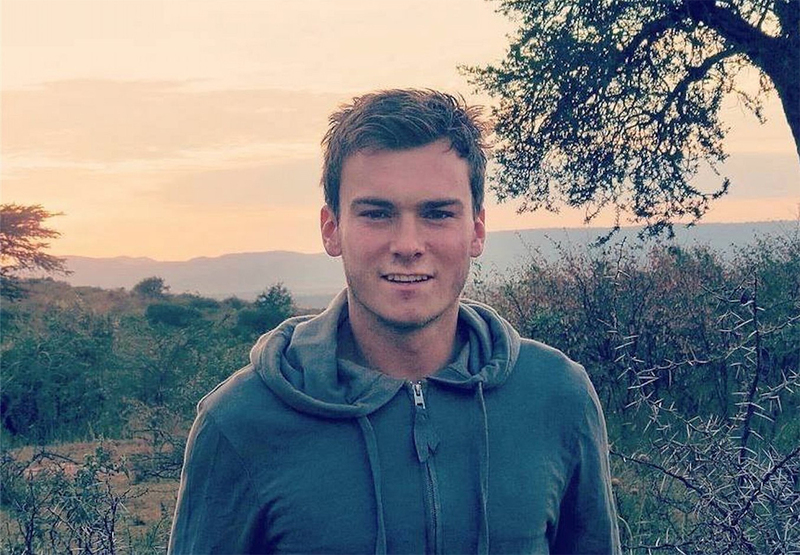 Jake is currently working at NBC News in London, so his path tutor Sali Collins received the prize on his behalf in front of the new intake of MA journalism students at the university on Friday (September 28). After the presentation, WMW members, including former Cardiff journalism MA student Rachel Boagey, Business Car features editor, and Alex Grant, editor of Fleet World Group, took questions from the students. Set up by WMW in memory of founder member and first treasurer, John Arfon Edwards who died in 2014, the prize is co-sponsored by Porsche Cars GB. It includes a driving day at the Porsche Experience Centre, Silverstone, and two weeks’ work experience at Haymarket Media with time spent on What Car?, Autocar and Pistonheads. MG Motor UK parent company, SAIC Motor has awarded their prestigious 4* OVERSEAS DEALER AWARD to Panda Motors in Swansea for excellent customer service and strong sales performance. In 2016, Panda Motors was appointed as the main dealer for MG in Swansea, hitting the ground running by embracing the brand, its products, and all the opportunities that were available. Since then, the dealership has exceeded its sales targets and this year achieved a phenomenal 102% increase on its target. 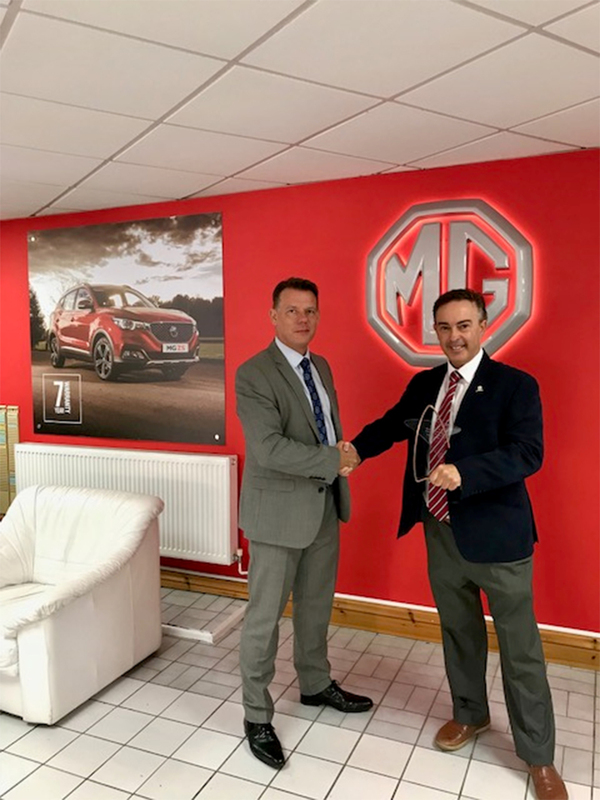 As well as its high-level sales performance, Panda Motors has developed an outstanding reputation in Swansea proving to be an excellent representative of the MG brand. The dealership is located in the residential area of Landore in Swansea where it is an integral part of the community. HIGH FIVE FOR OGIER IN WALES! 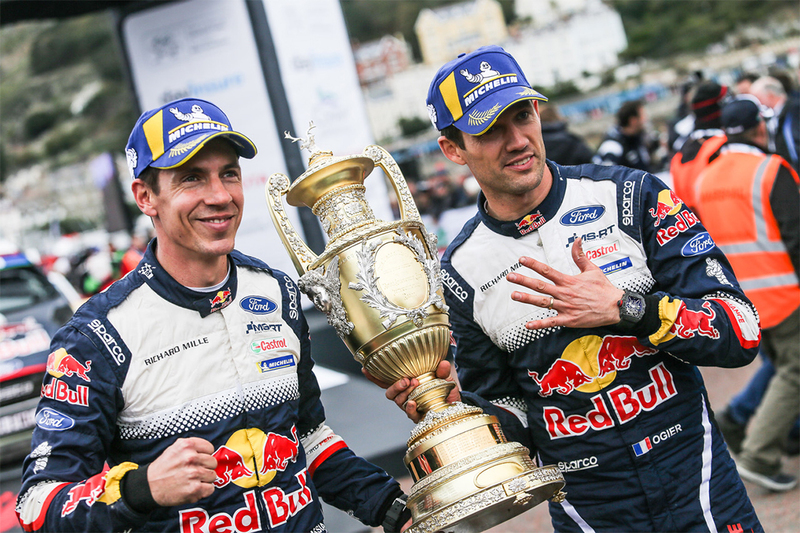 Sébastien Ogier may have won 44 times in his stellar FIA World Rally Championship career, but few of his victories have been more hard-fought than the one he achieved at Dayinsure Wales Rally GB, as the Ford star overcame a thrilling final day challenge to become the first driver in history to triumph five times on the legendary event. Going into Sunday’s (7th October) demanding speed tests through the scenic splendour of Snowdonia National Park and around Llandudno’s iconic Great Orme, the stage was set for an exhilarating battle for glory, with the top four competitors separated by just 13.5 seconds – and uncharted territory ahead. Defending World Champion Ogier and Toyota rival Jari-Matti Latvala immediately engaged in an absorbing duel, treating the thousands of fans that had flocked to the forests to a spellbinding scrap for supremacy. Latvala stormed through the points-paying Power Stage to depose overnight leader Ogier from the top of the timing screens, but the Frenchman hit back immediately with a scintillating run through the ground-breaking first Great Orme Llandudno Street Stage to slash the gap between the pair to a scant two tenths-of-a-second. This was the first time in Britain that closed public roads in a town had ever staged World Championship motor sport, and the sight of the 380bhp, four-wheel-drive, turbocharged World Rally Cars dashing around the dramatic north Wales headland and onto the resort’s seaside streets was truly one to behold. “It’s a great honour to win in Wales for the fifth time,” reflected the five-time World Champion. “Everybody knows how tough this event is and how it’s one of the most iconic rallies in the World Championship. I’m very proud to be on top of that list ahead of such big names in the sport”.